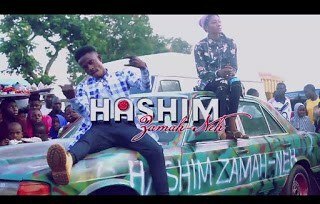 Description: Hashim Zamah Neh is no longer a new name in the Northern music industry. He got to the limelight since the Release of his First Album titled “RUWAN BUTA” in the Year 2015,followed by his Second Album Titled “Zero to Hero”. He has Repackaged & bounced back with another hit titled “Na Daya” meaning No 1. U can contact Hashim zamah Neh via 07066608990.